If you didn’t know much about servicing a car, you wouldn’t lift the hood and start pulling wires, right? This same analogy can be applied to working out, but often times, the answer is a little different. From injury-causing techniques that make trainers cringe to programs that bring little progress, there’s a lot to improve upon when it comes to gym basics. Take the guesswork out of training and read on to troubleshoot these common workout mistakes. In terms of exercise selection, trainees often copy regulars at the gym who appear to know what they’re doing in the hopes to maybe one day achieve the same goals. The result is usually random exercises performed incorrectly in a program that is really non-existent. The Fix: Learning how to execute exercises correctly and either learning about program design and exercise selection or having a personal program designed to best fit your needs. News flash: There is no such thing as the “best program.” The “best program” is the one that helps an individual reach their individual goals and is sustainable, fun, effective, and safe. Obviously, there are other important factors to consider, but it’s often that simple. Start every workout with an effective warm up. If doing power or explosive-type exercises, perform them first. These include Olympic lifting variations and plyometrics. They usually take the most focus and coordination, so do them when you’re fresh. Also, you’ll be able to be more explosive when you’re not fatigued. Next, focus on compound exercises, which use more than one joint. Such exercises include squats, deadlifts, rows, bench presses and pull-ups. Machines can be used, but focus on free-weight exercises. It depends on your goals, but free-weight exercises tend to work more muscles, giving you more bang-for-your-buck. Now add in isolation-type exercises. These include biceps curls, triceps extensions, along with some more uncommon movements like stiff-leg deadlifts, back raises and hip thrusts. All these exercise focus on a particular movement about a joint. Lastly, add in some core-specific exercises (what’s often referred to as a “finisher”). A finisher is exactly what it sounds like — a high-rep exercise or multi-exercise circuit, designed to ramp up your heart rate and essentially, finishes you. Common finishers include high-rep back squats (for the advanced lifter) or a body weight circuit of pull-ups, push-ups, and body weight squats. Jumping from one program to the next isn’t always the best idea either. Changing up training variables (sets, reps, breaks, exercises, etc.) from one workout or training phase to the next is referred to as periodization. This variation in training can be great to avoid boredom and staleness, but has to be planned to be effective. But randomly changing exercises or program hopping yields sub-par improvements in strength and muscular development and isn’t encouraged . The Fix: Find a well-balanced program and stick to it for 2-3 months. Follow the overload principle from week to week and re-evaluate. Make slight alterations if you need to, but keep the bulk of the program the same and give the program a chance. Setting foot in the gym and moving some weights around is only half the battle — having the right mental attitude, determination, and killer instinct will determine if you actually reach those goals. Always strive to be better, resist the temptation to get frustrated, and keep at it. The Fix: Find a workout partner who is slightly stronger and fitter than you. You’ll be able to work off each other and reach levels of fitness you wouldn’t have otherwise. Create a social network with people that have similar goals and lifestyles. Share recipes and workout ideas. It’s always more difficult when doing things alone or when surrounded by people with different ambitions. It’s quite common to only train what we see in the mirror: For guys, it’s normally a combination of chest exercises, biceps curls, and knee extensions; for the women, it’s all about the inner and outer thighs, abs, and back of the arms. Obviously these are stereotypes, but they’re normally not that far off. With the crazy amount of time we spend sitting these days, the least we can do in the gym is out-train the sitting posture. The Fix: Incorporate more pulling movements into workouts, since these exercises target muscles in the mid- and upper back, glutes, and hamstrings, all areas that become tight from sitting. Exercises such as rows, pull ups, deadlifts, hip thrusts, and face-pulls all fit the bill. Also, to save yourself from looking like the Hunch Back of Notre Dame, incorporate thoracic spine mobility exercises, lat and chest stretches, and exercises to open up your hips, such as hip flexor and hip rotator stretches. You don’t have to stop bench pressing or biceps curling, but make sure you train the muscles you can’t see, too. Many beginners start with the idea of making great progress in a short period of time. For some it may be a major weight loss goal, the pursuit of running a 6-minute mile, or even packing on some size and strength to fill out their clothes a little better. The Fix: Set small goals with a manageable time frame, and make sure they’re appropriate for your current fitness level. Chart your workouts and keep track of everything related to that goal, so when it comes time to evaluate progress, you have a solid record to pull from. When you look back at how much you’ve accomplished, the idea of giving up seems to fade away as you press on toward your goal. Warming up is just as important as the main workout. When people are getting started, it’s easy to push the warm-ups aside because they’re typically a small part of the entire training session. But that shouldn’t be the case. Warming up serves two purposes: to prevent injury and to prepare the body for the training session. A proper warm-up should get your heart rate up, improve mobility, and charge the nervous system for the work to come. Most people can benefit from dynamic movements such as jumping jacks, glute bridges, skipping, and various band exercises such as pull aparts, face pulls, and lateral raises. On top of the dynamic movements, soft-tissue work can be incorporated as well. Foam rolling the lower extremities, and mid back is a good place to start. For the upper body, using a lacrosse ball on the upper back and shoulders does well to loosen most people up. The Fix: Now that you know the importance of a proper warm-up, take an extra 10 minutes to do it properly. Start with a brisk walk for 3-4 minutes, followed up by the dynamic movements and foam rolling like mentioned above. If your goal is to be stronger or put on muscle, then doing cardio before weight training sessions might not be the best idea. Many beginners will attempt to get in some cardio training such as a 2-3 mile run or bike prior to their heavy weight training. While there’s nothing wrong with this type of cardiovascular training, doing it right before heavy strength training can limit your potential for strength gains and adding muscle. Why? If we tax our energy reserves, we limit the amount of intensity we can put into our maximal effort under the bar. The Fix: Instead of doing a full-on cardio session before your weight training, move it to another day (or do it after your training) and do a simple 10-minute dynamic warm-up before to ensure you’re ready for your strength session. 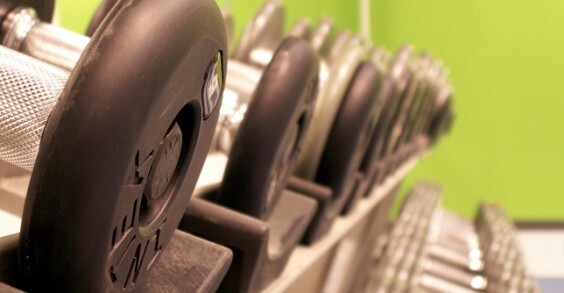 Time is the most precious commodity we have — don’t waste it with ineffective workouts. Author Bill Starr couldn’t be more correct when he said, “Patience plus persistence equals progress.” Fix these common workout mistakes (forever!) and get the most out of your training. Progress will come, but remember to be patient and persistent. This post was written by JC Deen and Jon-Erik Kawamoto. JC is a strength coach, fitness writer and author of LGN365. JK is also a strength coach and fitness writer and owner of 2 fitness blogs, JKConditioning and StrongerRunner.com. The views expressed herein are theirs. 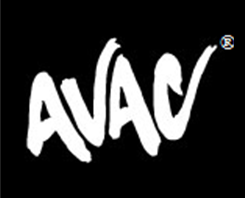 Were you one of the 50 AVAC® members there?